The Wine & Gold round out their longest road trip of the season tonight with a Rocky Mountain showdown against the Denver Nuggets. 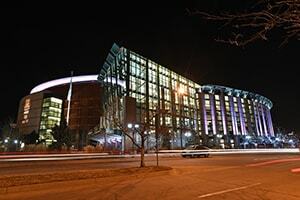 Tipoff from the Pepsi Center is scheduled for 10:00 p.m. (ET). 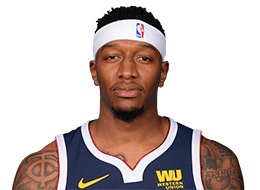 The Cavs will look to wrap up their six-game roadie on a positive note after dropping their most recent matchup to the Utah Jazz last night in Salt Lake City. From where to catch all the action to Saturday's game notes, Cavs.com has you covered. Learn more about Saturday's matchup. 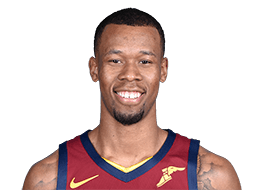 Against Utah, Cleveland had six players score in double figures, which was their 18th time accomplishing that feat this season (Collin Sexton–15, Ante Zizic–15, Cameron Payne–14, Jordan Clarkson–13, Jaron Blossomgame–11, Matthew Dellavedova–10). Cleveland's bench was especially good against the Jazz, posting 52 points last night in Salt Lake City. On the road trip specifically, the Cavs' reserves are averaging 53.2 points. This season, the bench has scored 50-plus points 17 times, including 60-plus points four times. Their 17 outings of 50-plus bench points this season is just two shy of the franchise single season record (19 in 2017-18). The Cavs' reserves are also putting up 44.2 points per game in 2018-19 (fourth-highest in NBA). From an individual perspective, Ante Zizic had a rock-solid night after registering his first career double-double with a team-high tying 15 points on 7-12 (.583) shooting, a team-high 10 rebounds, one steal and one block in 34 minutes. 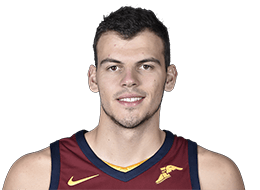 Zizic is the fourth Cavaliers player to record his first career double-double this season (Blossomgame, Cedi Osman, Sexton). 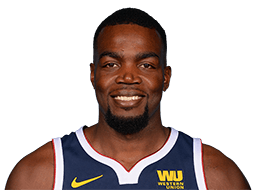 He has seven double figure scoring outings and two double digit rebounding performances this season. 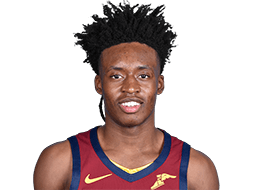 Collin Sexton tied Zizic with 15 total points against Utah. The Young Bull has scored in double figures in 39 games so far (tied for second-most among all rookies this season). 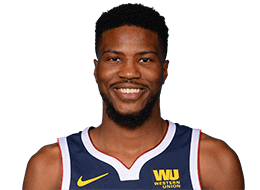 He is currently the only Cavalier to appear in all 46 games this season and ranks first among rookies in FT% (.865), fourth in ppg (14.6) and fourth in apg (2.8). The Cavs will look to improve their effort tonight when they battle a Nuggets team that owns a 30-14 record, good for second best in the Western Conference. On Thursday, Denver was able to rout the Chicago Bulls, 135-105, in the Mile High City after seven players scored in double figures. 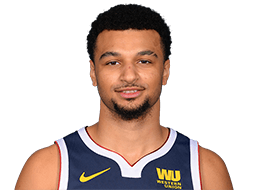 Jamal Murray led the charge with 25 points, including an impressive mark from downtown (7-11) while Nikola Jokic tallied a double-double consisting of 18 points and 11 dimes. Gary Harris was the Nuggets' top bench scorer after posting 14 points. Tonight's game between the Cavs and Nuggets is the second and final matchup between the two teams. Denver snagged the win in their first outing earlier this season at The Q. Programming Note: On Saturday, FOX Sports Ohio is airing the Blue Jackets – Wild game (9:00 p.m.) and the Cavs – Nuggets game (10:00 p.m.). To view channel information, CLICK HERE. As mentioned, tonight's game is the final meeting between the Cavs and Nuggets this season with Denver taking a 110-91 win at The Q on November 1. 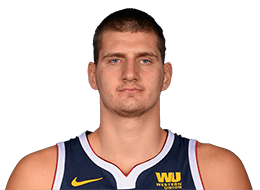 Despite the loss, Cleveland limited the Nuggets to 15 points in the first quarter - the lowest scoring output in any opening quarter by a Cavs opponent this season. 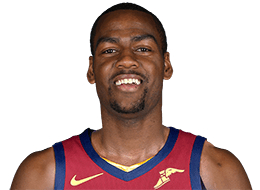 Cleveland also recorded 11 steals and shot .947 (18-19) from the free throw line. 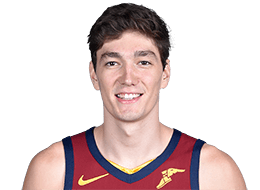 The Cavs have played well at the Pepsi Center in recent memory, going 4-1 in their last five matchups in the Mile High City, which includes a 113-108 win in their most recent visit (3/7/18). That night, the Cavaliers had 10 steals and forced 21 Nuggets' turnovers. Offensively, Cleveland had 25 assists (10 turnovers) and shot 44-87 (.506) from the field, including 13-29 (.448) from three-point range. Following Saturday's Mile High matchup, the Wine & Gold will return to Cleveland on Monday for an MLK Day matinee against the Chicago Bulls at 1:00 p.m. (ET). at The Q. The Cavs will then hit the road once again to take on the Boston Celtics on Wednesday before returning to The Land on Friday to battle the Miami Heat at 7:30 p.m. (ET).